Due to its mobility and the amount of weight it carries from your head, your neck is susceptible to injury and pain. 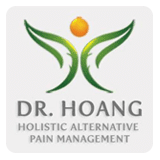 LeTrinh Hoang, DO, and her team at the Center for Natural Family Medicine in the Carthay neighborhood of Los Angeles and Arcadia, California, use osteopathic manipulative therapy to help you get relief from your neck pain. Call today or schedule an appointment using the online booking tool. Neck pain is common and may be caused by the tension that occurs in your muscles as you type at your computer or from a condition that affects your cervical spine. Neck pain isn’t usually a symptom of a serious health issue but can affect quality of life. Your specialist at the Center for Natural Family Medicine may be able to identify the cause of your neck pain during an examination and a review of your symptoms and medical history. The holistic team is thorough and can identify causes you wouldn’t even think of, including past traumas that may have occurred when you were a child. Diagnostic imaging may also be recommended to confirm or rule out a diagnosis. Symptoms of your neck pain vary depending on the cause. In addition to pain, you may also have a difficult time moving your neck or develop muscle spasms and tension. Neck pain can also lead to headaches. Depending on the cause, you may also experience pain, numbness, tingling, or muscle weakness that travels down your arms. If your neck pain is causing these symptoms, it’s time to get professional help. Your specialist uses osteopathy and other holistic treatments to help you get relief from your neck pain without the need for prescription medication or surgery. Once the source of your trauma has been identified, your specialist uses hands-on techniques to reduce inflammation and improve muscle, bone, and joint alignment to reduce pain and discomfort. Neck pain may be your primary concern when coming in for care at the Center for Natural Family Medicine, but you may find that treatment also helps improve your overall health and wellness. The specialists at the center take a holistic approach to medicine with the aim of improving your whole body, not one part. For relief from your neck pain, call the practice today or book an appointment using the online tool.